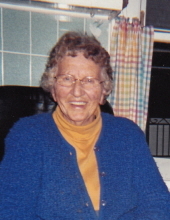 Labbe, Rena December 12, 1931 – March 13, 2019 Eagle Lake — Rena Labbe, 87, passed away on March 13, 2019 at an Eagle Lake health care facility…. David Monroe Wright, 45, of Cape Porpoise, passed away March 15, 2019 at the Gosnell Memorial Hospice House in Scarborough following a battle with colon cancer. He was born February 3, 1974 in Biddeford to David H. and Annalee J.
GORHAM – Bette Jean Jordan, 62, on March 11, 2019, passed away surrounded by loved ones at her home, after fighting a courageous battle with cancer….